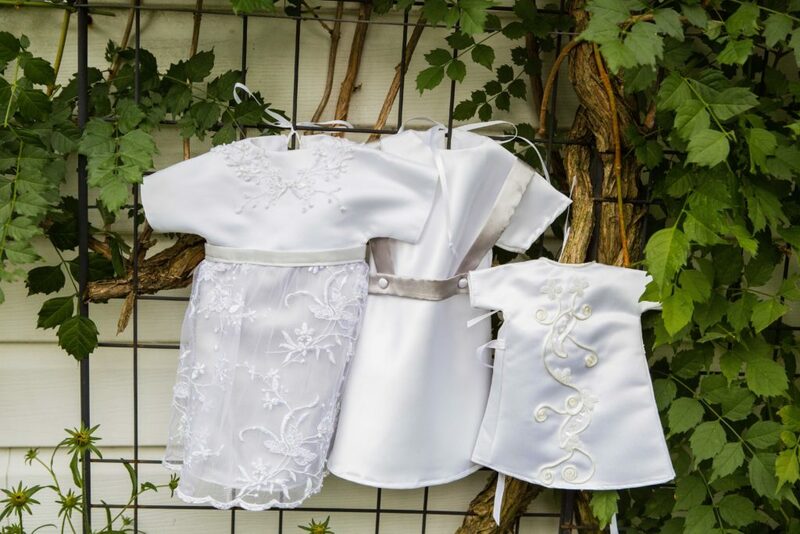 As part of our support services, we offer beautiful handmade burial outfits made from donated wedding gowns. For more information on how to donate a gown please email, sweetgracegowns@gmail.com. Sweet Grace Gown Night is held every 4th Thursday at 77 Horst Avenue (main entrance to building is on Edgar Avenue) Chambersburg, PA 17201. This group is specifically for those interested in donating their time and talents to creating these beautiful gowns. No skill required but certainly welcomed. If you are a family who has received a fatal diagnosis and would like to request to have a burial gown available upon delivery, please contact Sweet Grace Gowns via email sweetgracegowns@gmail.com or phone, 717-414-7772.